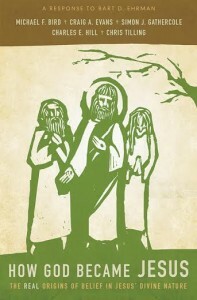 I’m continuing to work through Ehrman’s How Jesus Became God and Bird’s (et al.) How God Became Jesus. You can find each part in the series here. Now we’re turning to the Christology debates in the early centuries. I’m continuing to work through Ehrman’s How Jesus Became God and Bird’s (et al.) How God Became Jesus. You can find each part in the series here. 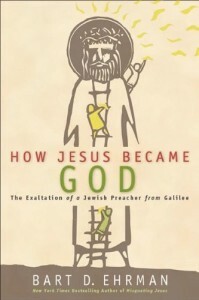 I’m continuing to work through Ehrman’s How Jesus Became God and Bird’s (et al.) How God Became Jesus. You will find each piece in the series here. 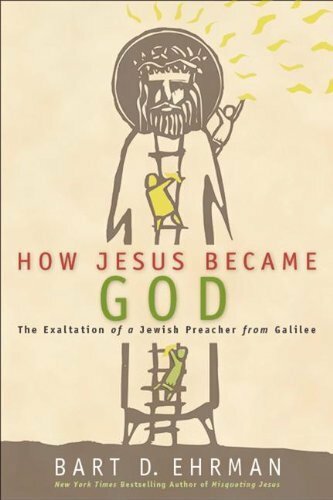 In this post I’m summarizing Simon Gathercole’s response to Ehrman’s presentation of exaltation Christology in How God Became Jesus and giving a few of my own thoughts. I’m continuing to work through Ehrman’s How Jesus Became God and Bird’s (et al.) How God Became Jesus. You can find each piece in the series here. Due to the size of this summary, I will offer my response and Simon Gathercole’s in a future post. In How Jesus Became God Bart Ehrman cites a number of “doubting texts”: texts where the disciples apparently didn’t believe Jesus’ resurrection appearances. Erhman’s conclusion, on the basis of these (below) texts, is that probably only a few disciples experienced “visions” of Jesus, and that these “doubting texts” were included to represent the reaction of those who heard of the visions, not the reaction of those who experienced them. I didn’t have space in my last post, so I want to briefly examine the texts he uses as support of this idea.